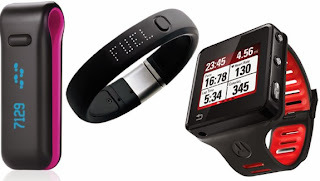 If 2013 was the year of wearable, personal devices then 2014 will be the year of personal data. In 2013 we saw a huge rise in popularity of wearable devices for measuring steps walked, distance travelled, pulse, calories consumed, and a lot more besides. These devices, and the smartphone, PC and cloud software that accompanied them, put us on the first few rungs of the business intelligence lifecycle - principally allowing us to do historic reporting. I believe 2014 will see a great evolution of our use of personal data. Rather than the "rear view mirror" historic reporting that we've seen in 2013, we'll see software that predicts your future activity and offers advice and recommendations on how to positively influence your outcomes. It's not beyond the bounds of possibility for your smartphone to start prompting you to go for a walk lunchtime in order to meet your weekly target for steps, or consume no more 400 calories at dinner in order to avoid bursting your weekly calorie target. And those are just simplistic examples. As an example of the lengths to which you can go to perform data mining on your personal data, I highly recommend the recent report in Wired of the astrophysicist who diagnosed himself with Crohn's disease. A fascinating story. Metacoda's Paul Homes recently wrote a most informative article entitled Providing User Access to the SAS BI Lineage Plug-in. 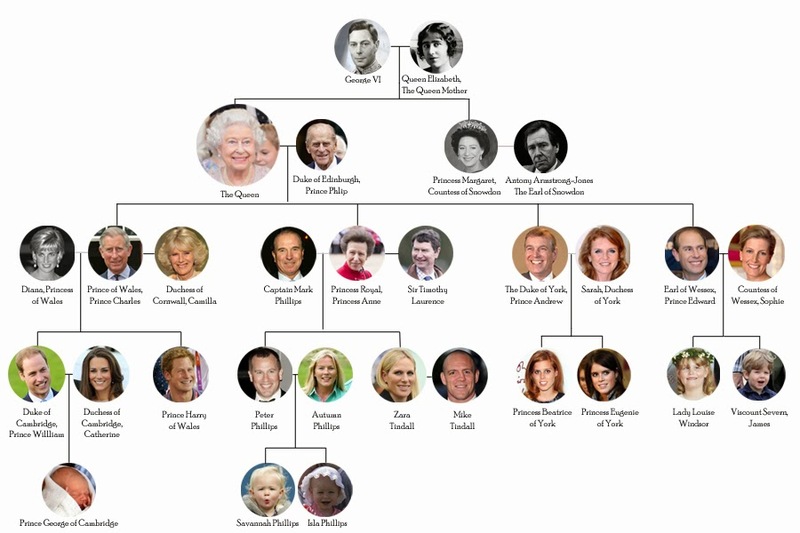 As Paul says in his article, the BI Lineage plug-in can be used to do impact analysis for BI content (reports, information maps etc.) 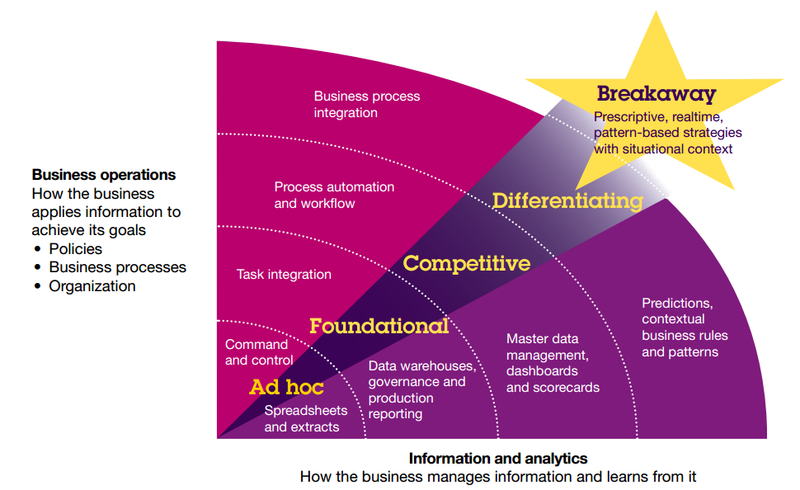 in a similar way that SAS Data Integration Studio provides impact analysis for DI content (jobs, tables, etc). The plug-in was new with the November 2010 release of V9.2. Its results include lineage and reverse lineage, i.e. predecessor and successor objects. 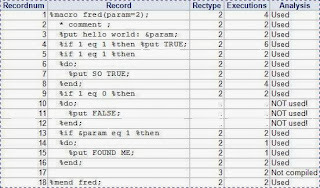 Developers find this information useful in order to understand the impact of changing an information map (for example) on reports and, contrary-wise, it is useful for understanding what BI objects (such as information maps) will need to be changed in order to add a new column to a report. This information is useful to capture the full scope of a proposed change and hence to more accurately estimate the effort required. Testers also find this information useful because it helps to gives them a gauge of the amount of coverage their testing is achieving (this week's theme on NOTE:!). Paul describes how to make lineage reports viewable by any authorised user, but he concludes that only a strictly limited set of users can create the reports, i.e. what SAS calls "unrestricted users". This a shame because the functionality is of broad interest and value. Let's hope that SAS makes the creation of lineage reports more accessible in future. If you agree, hop over to the SASware ballot community and propose the enhancement. If you're unfamiliar with the ballot, read my overview from August 2012. In addition, the ability to join lineage reports for BI and DI objects would provide the full provenance of data items. Now that's something I'd love to see! The READONLY option on %local and %global. 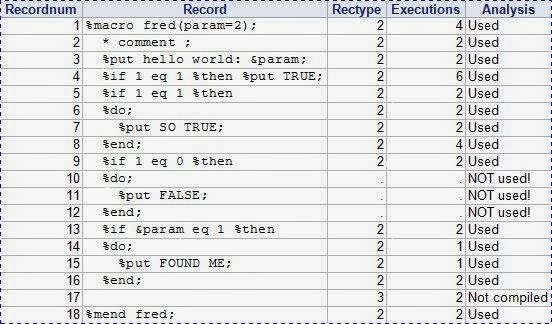 Not so long ago, SAS V9.3 introduced a raft of new automatic macro variables, macro functions, macro statements and macro system options. When 9.3 was launched, one of the new system options caught my eye: MCOVERAGE. It claimed to offer coverage analysis for macros, i.e. highlighting which macro code lines were executed and which were not (particularly useful whilst testing your macros). When I wrote of the release of 9.3 I didn't have immediate access to 9.3, the documentation offered little in the way of real-world explanation, and (I confess) I forgot to return to the topic when I got use of a copy of 9.3. As I said in yesterday's My 2013 Top Ten article, I think that metadata-bound libraries (introduced in V9.3 maintenance 2) are one of the most significant SAS enhancements for some time. It seems SAS's Chris Hemedinger agrees. 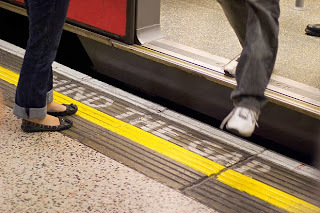 Read his Closing the "LIBNAME loophole" with metadata-bound libraries article on his SAS Dummy blog to get a very rounded view on their benefits and how to use them. In December 2012 I wrote of my family's visit to Bletchley Park in Central England. Bletchley has a remarkable history and we enjoyed discovering its contribution to computer science along with that of Alan Turing. In the article, I mentioned the tragic circumstances surrounding the end of Alan Turing's life (in brief, he was a homosexual in 1950's Britain, he was convicted of gross indecency, accepted chemical castration as punishment, and subsequently died soon after - having taken a draft of cyanide, possibly as a suicide attempt). I mentioned an official public apology from Prime Minister Gordon Brown made in 2009 and a growing campaign for a pardon for Turing. 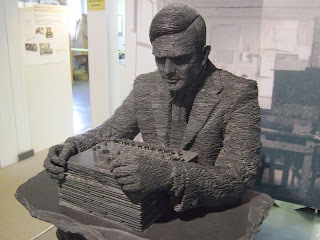 I was pleased to see that Alan Turing was indeed granted a royal pardon on December 24th, i.e. two weeks ago. Whilst some people think that a royal pardon for someone who has been dead for nearly 60 years is meaningless, I agree with those who consider that the pardon rights a wrong and provides some kind of recognition for a man who contributed so much to his country and to computer science (virtually all of which was secret until the mid-70s). I still await my copy of Sue Black's Saving Bletchley Park book (which nears completion) but, in the meantime, I have enjoyed reading Robert Harris's Enigma and Jack Norman's Broken Crystal - both being fictionalised accounts of activities at Bletchley Park during World War II.